Home / Based on a Book / The Exorcist III Collector's Edition Coming in Time For Halloween From Scream Factory!!! 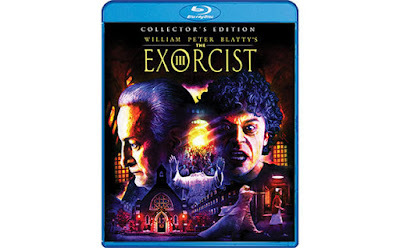 The Exorcist III Collector's Edition Coming in Time For Halloween From Scream Factory!!! Scream Factory has finally announced The Exorcist III Collector's Edition for release on October 25th. This puts to bed any rumors that have been popping up over the last few months. Fans of the film have been waiting for years for a director's cut and we are getting one, or at least something close to it. Scream Factory has been working with William Peter Blatty's script to try to get a version that is as close to his script as possible. However, the materials that have been provided to Scream Factory are a mixed bag. There is the HD transfer for the theatrical version of the film, but most, if not all of the footage for the director's cut is coming from various film and video sources, so the quality will change throughout the film. This is a very exciting announcement. I like The Exorcist III and have always wanted to see a director's cut. Oct. 25th can come any sooner.